Dr. Karina Harrison is a family dentist providing comprehensive dental care to adult and pediatric patients in San Angelo and the surrounding areas. She is fluent in Spanish which is an asset for the Spanish-speaking population of the Concho Valley. A native of Sanderson, Texas, Dr. Harrison completed all of her undergraduate and dental education in the Lone Star State. She graduated from St. Mary’s University in San Antonio, Texas and went on to enroll in the Baylor College of Dentistry at Texas A&M University’s System Health Science Center. Dr. Harrison spent much of her time after dental school in San Angelo, Texas serving underserved patients at a local community health center. She is genuinely committed to comprehensive dentistry and believes that everyone deserves a beautiful, healthy smile. Dr. Harrison is committed to ongoing education and has pursued certifications in various dental methodologies, including oral conscious sedation and nitrous oxide inhalation sedation. She plans to implement the placement of prosthodontic dental implants utilizing advanced systems that maximize the outcome of restorative dental services for her patients. She holds President Elect of the San Angelo District Society. As the mother to two young children and wife to a fellow dentist, Dr. Trevor Harrison, Dr. Karina Harrison’s family keeps her busy. Away from the office, she can often be found preparing a big meal at home and spending time with family and friends. He grew up in Aztec, New Mexico with two loving parents and a brother who now practices law in Washington, D.C. After high school, he left home to attend Hardin Simmons University in Abilene and eventually Baylor College of Dentistry at Texas A&M University’s System Health Science Center. It was there that he met his beautiful wife and colleague, Dr. Karina Harrison. Upon graduation, he moved to San Angelo to provide dental care to underserved patients. He continues to be an active leader within the San Angelo dental community and currently serves as the President of the San Angelo District Dental Society. Sedation dentistry is an important part of his practice, as Dr. Harrison desires that his patients feel comfortable and relaxed during dental treatment. He is certified in oral conscious sedation and nitrous oxide inhalation sedation. Both of which can improve the experience of an oral surgery, implant procedure or cosmetic treatment. 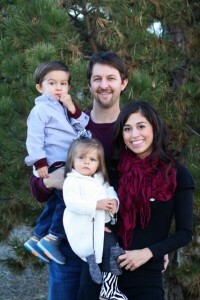 When he is not improving and protecting his patients’ smiles, Dr. Harrison can be found spending time with his family. He enjoys being outdoors, playing soccer and golfing with his wife. At Harrison Family Dental, we select only the best of the best to serve our patients and their families. All of our staff members are friendly, knowledgeable, and highly proficient in their office duties. Should you have any questions or concerns before, during or after a visit to our dental office, do not hesitate to visit with one of our staff members. They are readily standing by to address your needs.